1. 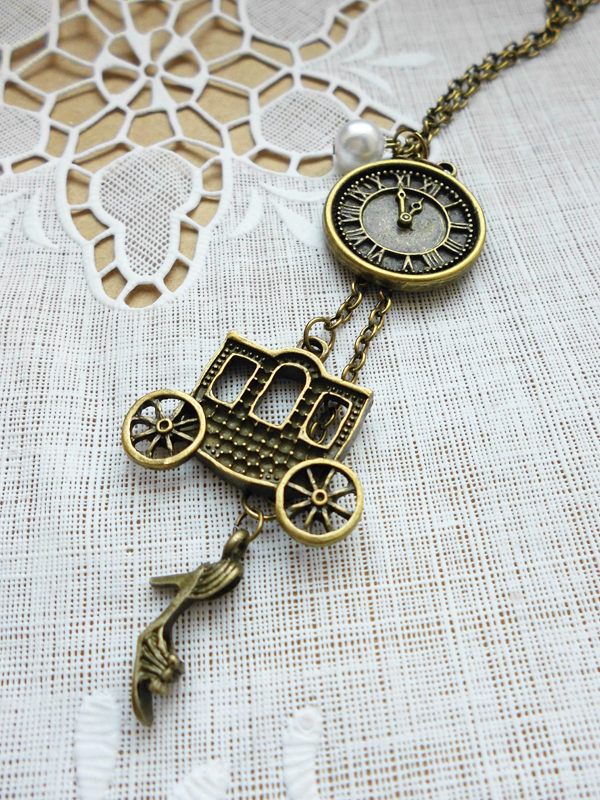 Clock Charm - Cinderella has to leave the ball before the clock strikes 12. 2. 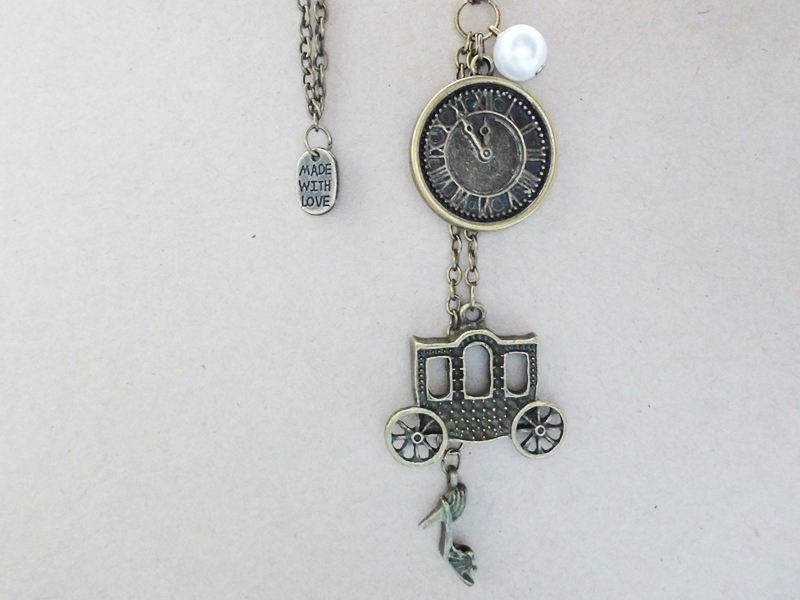 Carriage Charm - Cinderella travels to the ball in a carriage turned from a pumpkin. 3. Heel Charm - Cinderella drops her glass slipper after the ball.